Mine is the one on the left in the middle. Other people set tiles to make a mosaic trivet. Apparently it’s quite difficult to get the pattern right, since the pieces are laid with the glazed side down. 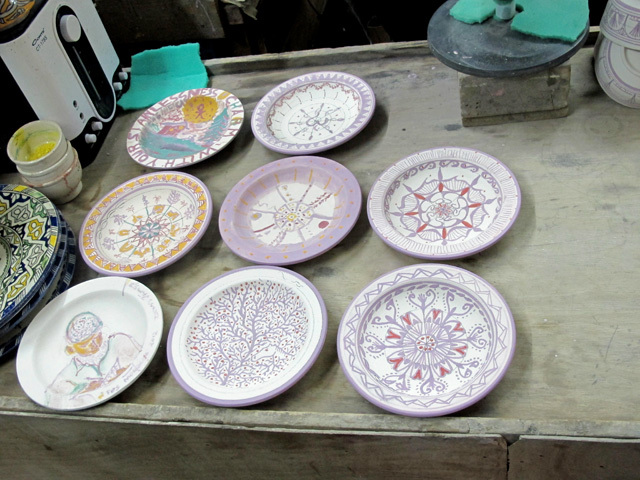 The pottery shipped the fired plates to us a few days later. We were delighted at the results.